The Oakeshott Type XVII is a particular favourite of mine to make. 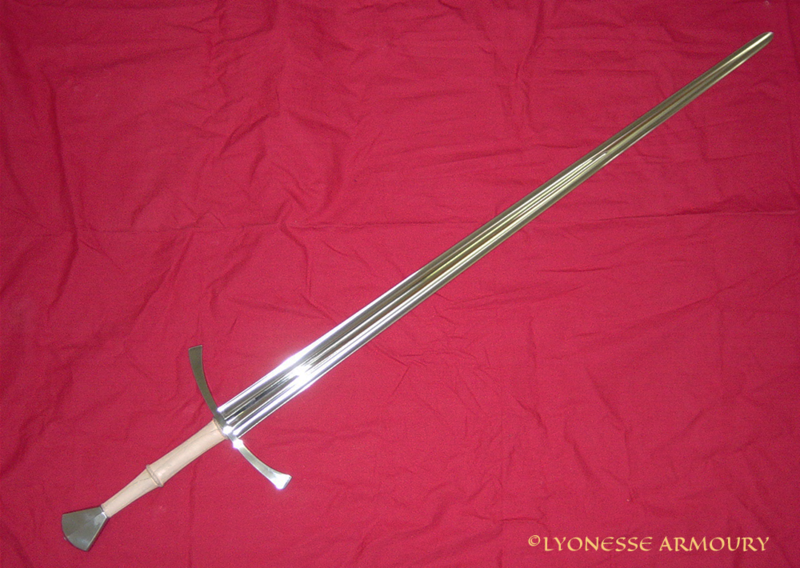 I have made a few over the years – an elegant type of hand-and-a-half sword which is as handy with one hand or two, with a long blade for good reach. 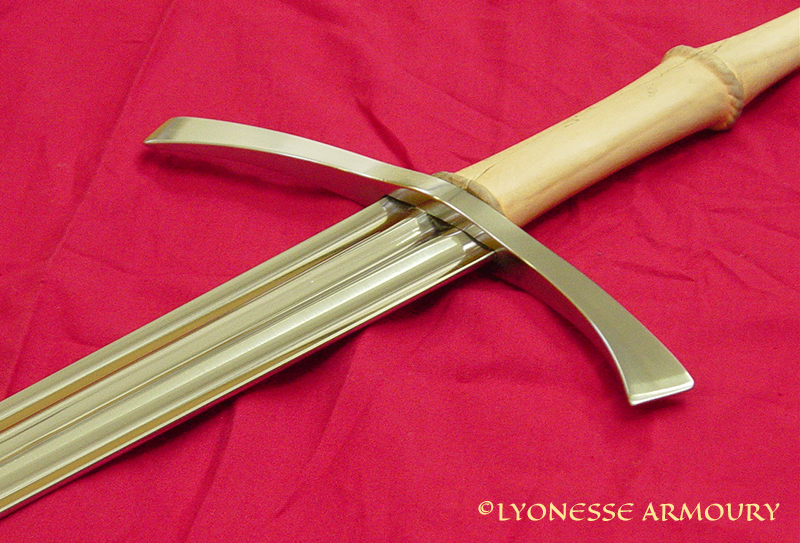 Even in blunt form with a wide tip for reenactment combat, it is possible to make it light and fast, by hollow grinding the edges to keep the weight of the blade down. This way, the pommel can also be kept light. The secret of any sword is to make it only as heavy as it needs to be strong and balanced enough to do its job, and no heavier. Balance 110mm (4.4”) along blade. All edges and point are at least 2.2mm thick. 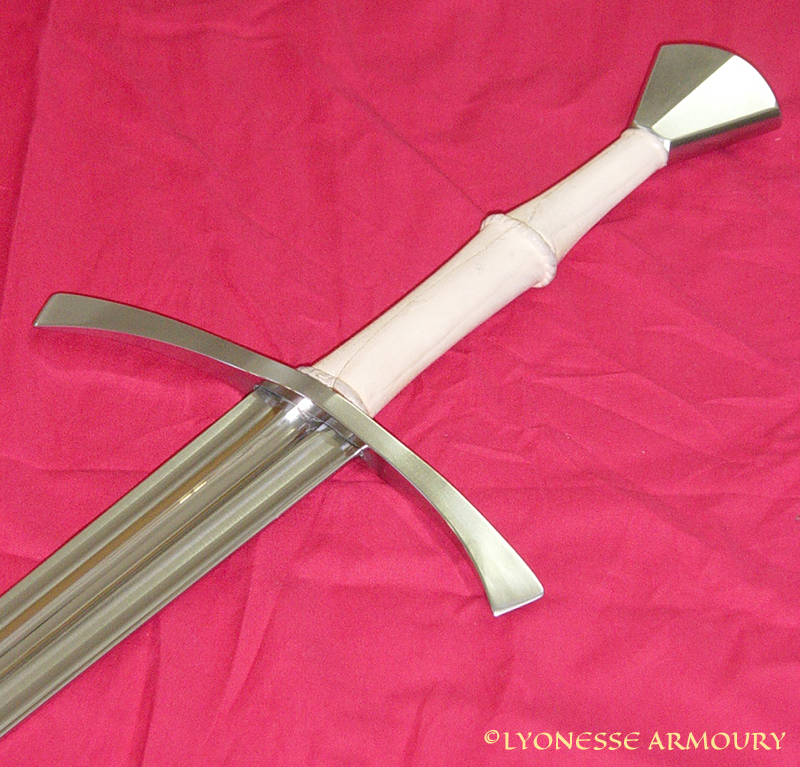 The blade is reasonably flexible due to its light weight. 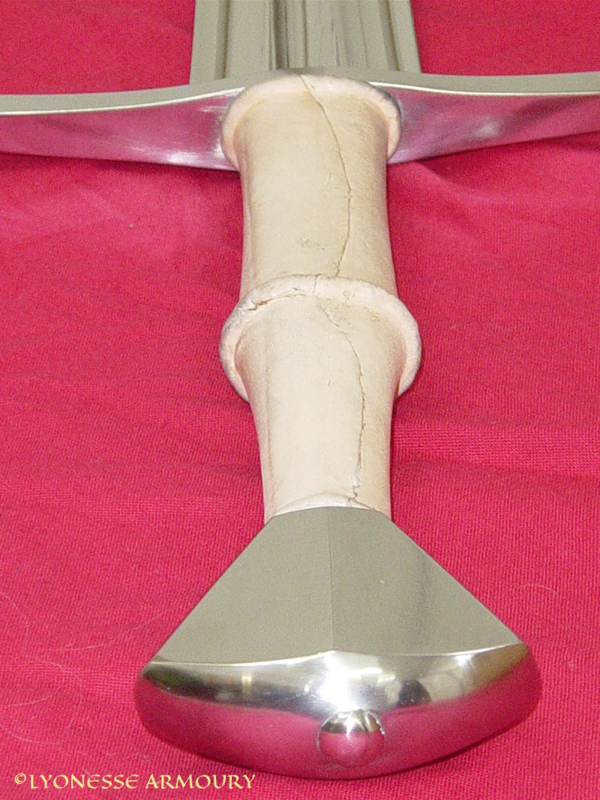 This one is all steel components, with a leather covered wooden grip. 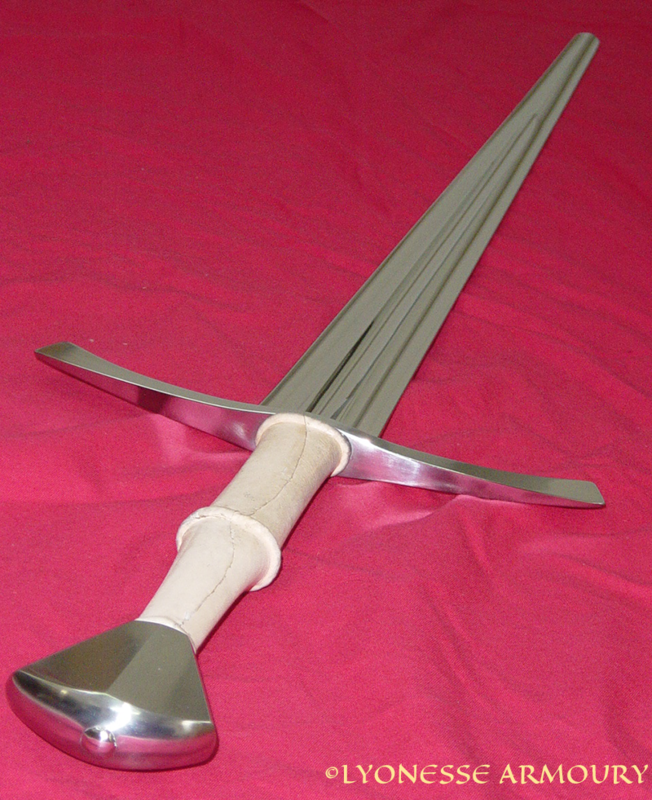 The cord riser in the middle helps to keep the forward hand located securely, while the narrower end and pommel base allow the back hand to move the sword quickly with a looser grip.